The clear conclusion is that public health care infrastructure at least to the level of Senegal and Nigeria is effective in quickly stopping an ebola epidemic. That means that the efforts to extend that infrastructure to countries like Guinea, Sierra Leone, and Liberia — an ironically to Spain and the United States, beset by austerity fever — are critical to US national security in the broadest sense. And the failing in the United States was the “public” part of public health infrastructure. The fallacy of thinking that health is exclusively an individual financial responsibility. SCOTUS has agreed to hear a case on the insurance mandate this session. That means that the four GOP-T justices want to destroy the ACA. The straw-manning of THE STRAIN THESTRAINTHESTRAIN is quite irrationally defensive. As if it were alarmism to ask, What exactly were Chris Bishop and Tom Geisbert doing there? Don’t you want to see their TORs and deliverables? Hear what they think at Njala U.? Why fixate on the strain, when absence of genetic modification proves nothing either way? As we know, Anthrax was not genetically engineered, or especially virulent, and it worked well enough to make Daschle and Leahy roll over for the PATRIOT Act. “…it is doubtful that these basic public health measures would have had such a dramatic impact on the rate of new infections. Perhaps those folks can go back to railing about chemtrails or the evils of vaccines, because basic boring science appears to be on the road to controlling the current outbreak before all of mankind succumbs.” An interesting blend of total non sequitur and government-issue derision, exactly what the behavioral science research describes. The US government continually breaches the Biological Weapons Convention. Were they doing it in Kenema too? The Strain, The Strain, The Strain is important precisely because analysis of it and its DNA sequence puts a lance right through the heart of your little conspiracy. Well, maybe I shouldn’t call it little, since that conspiracy made the top 5 falsehoods list on Ebola. 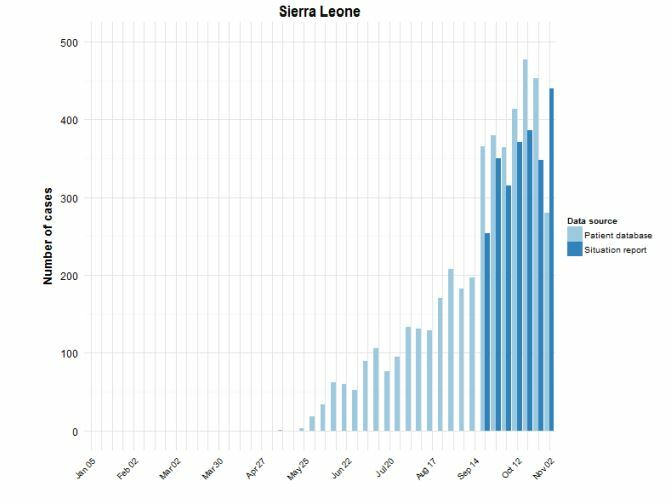 The Ebola genome is small enough that the known lab isolates have all been sequenced. 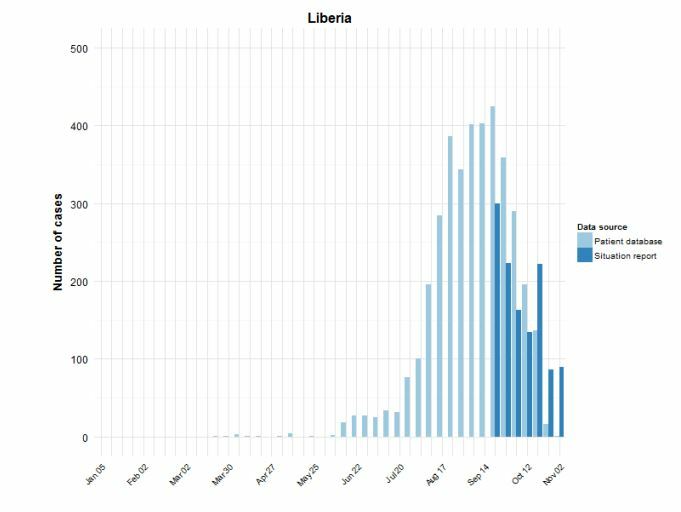 And, surprise, surprise, the earliest samples from this outbreak all fit nicely into the overall picture of Ebola circulating in the wild but don’t line up with any previous isolates. And there’s one more little nugget in the work on that early sequencing. The epidemiologists have worked back through the outbreak. The first known patient was a toddler who died in December, 2013. That happened in the small village of Meliandou, Guinea. A look at the map puts that spot at 191 km (about 120 miles!) from your Kenema, Sierra Leone ground zero. And yes, if you follow the DNA analysis on the anthrax outbreak, that is where you catch the government in its lies. That sequence did line up with lab samples. But those samples belonged to Bruce Ivins, who very clearly could not have made the attack material acting on his own. The FBI hounded this innocent man quite literally to his death. I don’t hesitate to call out government bad acts. Quite simply, this Ebola outbreak is not one and continuing to claim that it is flies in the face of science and human decency. Argumentum ab auctoritate from an unsourced blurb that misrepresents Boyle’s contention as right-wing Soros/Gates hype. Very convincing. Extra points for the whiny quote! Imagine how he would have whined if Politifact had asked for TORs and deliverables. Six hundred authors beavering away to reach the er, ah, presumed first fatality. One day you’ll learn that scope is a marvelous thing. Were US contract staff supporting disease surveillance and control? And was ebola one of the priority and epidemic-prone diseases given case definitions per WHO/UNHCR recommendations? These are easy yes-or-no questions. When did US staff gain access to indigenous ebola samples? To find that out you’ll have to ask not the scientists but third-country attachés. Your last sentence would be great with an animated waving-flag GIF and some audio doo-doodoo. When you’ve spent as much time there as I have, then you can impugn my human decency. First, the rules here are to use one email address for posting and stick to it. Use a fake one if you want, but stick with it. And talk about deflection. I notice you didn’t bother to address the fact that the outbreak started a VERY long way from where it had to for your theory and you have to go to undeclared lab strains to fit the inconvenient DNA data. Oh well. It’s time for football for me. Thanks for playing and enjoy the next thing you concoct.